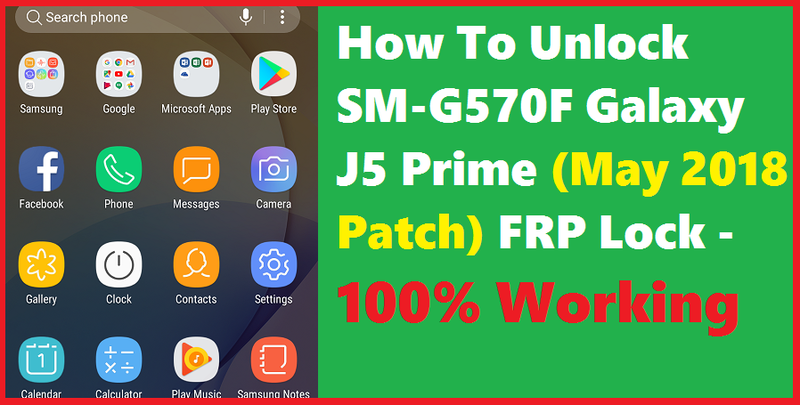 Do you face Custom Binary Blocked by frp error on Galaxy J5 prime or want to update firmware of the phone to latest one or want to know how to bypass frp lock on Samsung G570F or need to download this phone firmware or want to know frp bypass on J5 prime having latest Android operating system, if so then you are in right place where you will know the complete process of how to unlock frp lock on Samsung J5 Prime. The J5 Prime frp unlock can be done without using Combination file, frp unlock file or using any frp bypass APK and if you use combination file or frp unlock file sometimes the phone may not boot up and if you use frp bypass apk method, which also not work on Samsung J5 prime having Android 7.0 with security patch level 1 May 2018, but after following this frp unlock tutorial, you can easily remove frp lock of the phone, please have patience and go through the entire tutorial below. 3) Watch the Video Tutorial How to Enable USB Debugging. So we got the basic steps through which the phone can be frp unlocked. Please follow the below described process to flash, USB debugging enable and frp unlock on Samsung J5 Prime. So you can unlock J5 Prime frp unlock in 3 steps. such as flash the phone with firmware which helps to enable ADB or USB debugging easily and download free frp tool 2018, which helps to bypass or reset the frp lock and the final one is watch the video on YouTube to know how to enable USB debugging on locked Android smartphone. 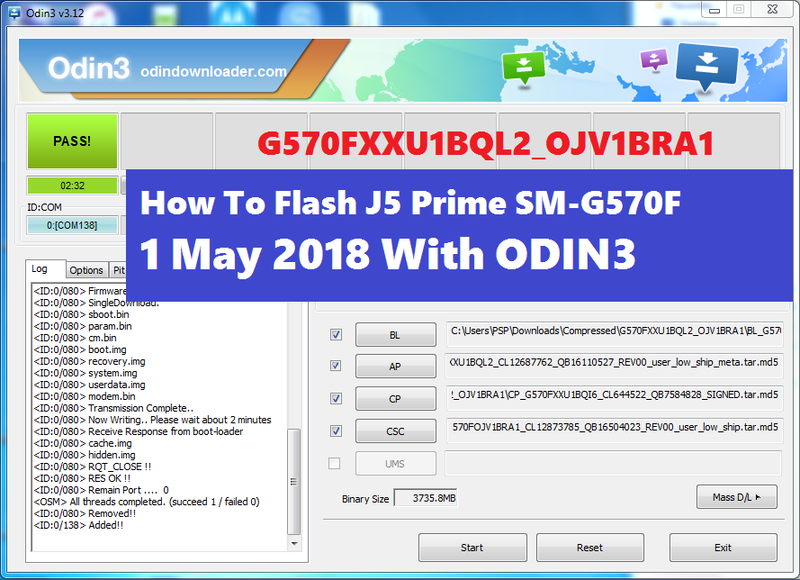 So here is the first step you need to follow, which is download J5 prime firmware and flash tool and flash the phone, you can ask why we called it FRP Bypass firmware and the answer is, this is an normal firmware and as after flashing with this we can enable USB debugging, we called FRP Unlock or Bypass Firmware. As you know if you try to enable USB debugging using calculator method on J5 prime having Android 7.0 with Android security patch level 1 May 2018, then it will not work, that means if you open the calculator and execute the ADB enable code the phone Calculator got closed. But after flashing with this firmware you can use the same method to enable ADB and the good thing about this firmware is you will not get any custom binary blocked error while flashing with ODIN3, so let's download the firmware and flash the phone. Now download Miracle box flash tool which works without any hardware box or Miracle dongle, using this tool we can reset frp of J5 prime. After flashing the phone using the above firmware enable USB debugging (Please watch the Video link given below) and the use the tool to unlock or bypass or reset frp lock on J5 prime Android 7.0 with experience version Android 8.0. 3) Watch the Video Tutorial To Know How To Enable ADB? Now watch the video tutorial to know how you can easily enable ADB or USB debugging using calculator method, please visit the below link. Open Miracle box and go to Android Tab, then ADB(extra). Now choose or select Samsung FRP Reset and click on Start button. After frp lock removed OK the phone will reboot and you are done. Important: After frp reset hard reset the phone using phone settings, if you are unable to see the home screen then drag the screen from top to see Settings icon and click on it. While do factory reset it's very important to enable Developer Mode and then enable OEM unlock.